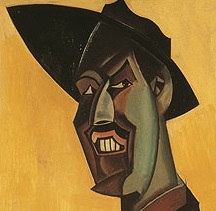 The Wyndham Lewis Society supports the work of The Wyndham Lewis Memorial Trust in promoting Lewis's oeuvre by organizing events, publishing academic volumes, and circulating Lewis-related knowledge and information. The Named Committee Members, along with available Society Members, meet once a year at the Society AGM, usually in December. Colleen Fox has sent (via Society member Alan Munton) an obituary for the esteemed Lewisian Cy Fox (1931-2018), along with her eulogy for him.